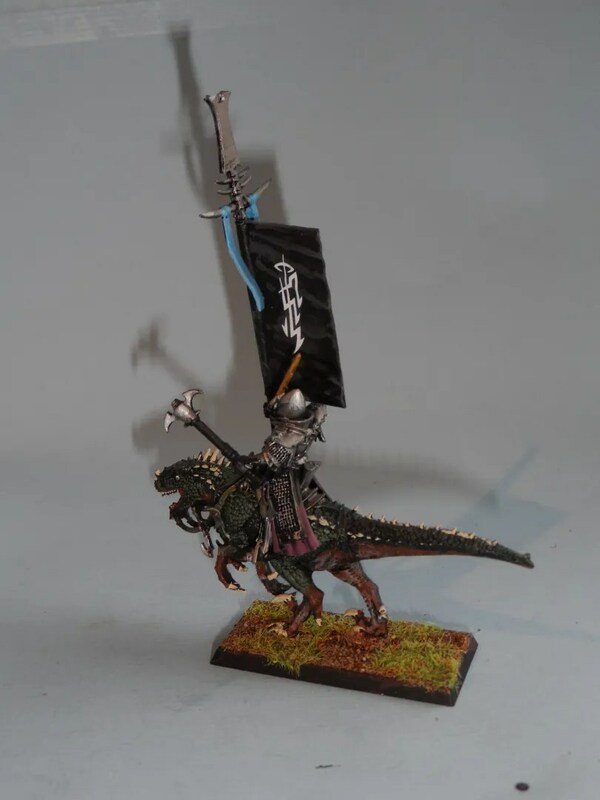 The CoK Standard – chosen to mix in more with the army BSB. 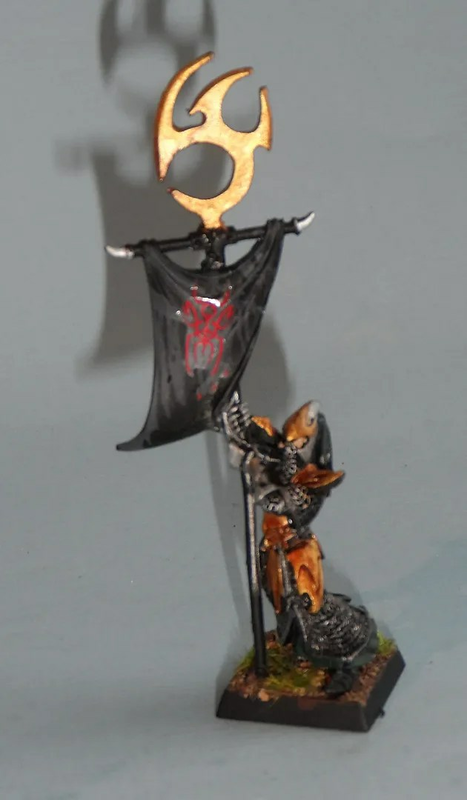 Executioner standard – red, very difficult to see, but steeped in the blood read of Khaine. GThere’s a bit of shine from the transfer itself, which I’ll fix with some matt varnish when the weather is right. 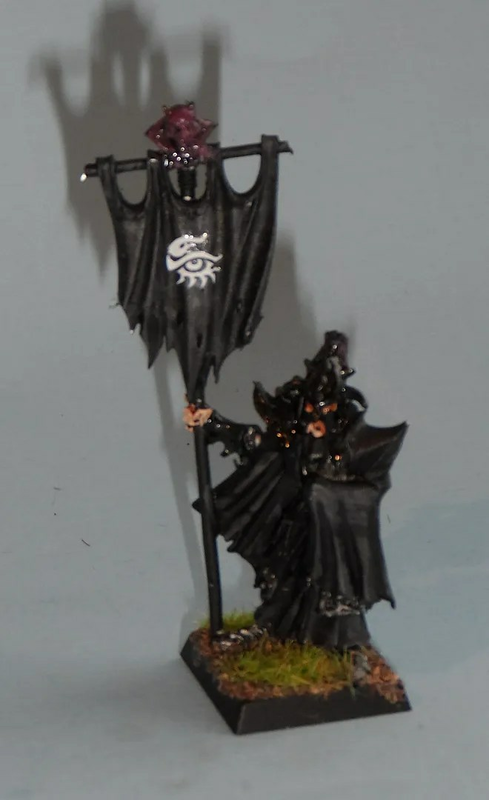 Black Guard, symbol looks like the Eye of Ra, as in Malektih is watching you. 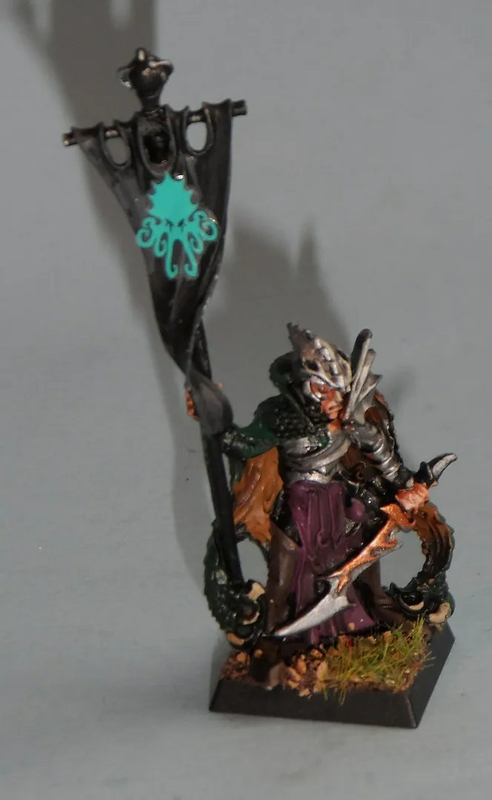 Finally the Corsairs, the Kraken face, its just appropriate. And about the only transfer that would fit on this small standard.